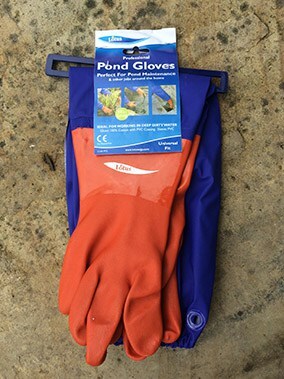 Pond gloves -UK made by Lotus in Hampshire these long pond gloves are perfect for carrying out maintenance on your pond whilst keeping your hands and arms warm and dry. High quality thick 100% cotton gloves with PVC coating are welded to strong waterproof PVC sleeves which are elasticated at the top to ensure they stay in place whatever you are doing. 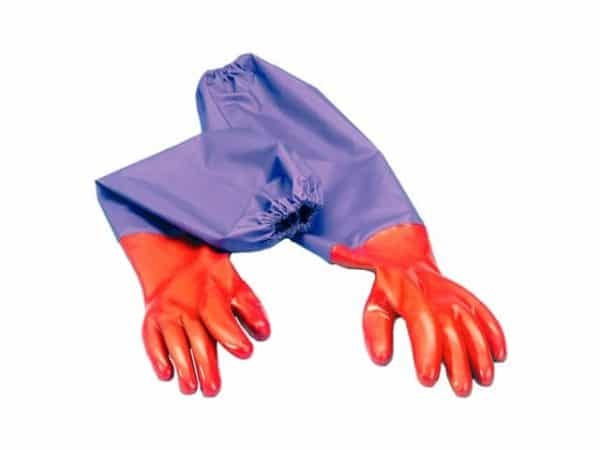 Not to be confused with cheaper imports, these are by far the best quality we’ve come across, and my current pair is still going strong even after moving thousands of heavy lily baskets in and out of water tanks in the last 3 months. 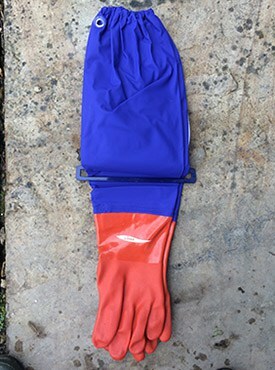 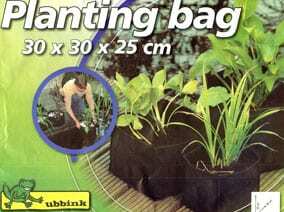 Total length of gloves is 60cm (24in).